Rafa Nadal's winning moment at the French Open gets picked out for #24 of #49 Picture of The Year. 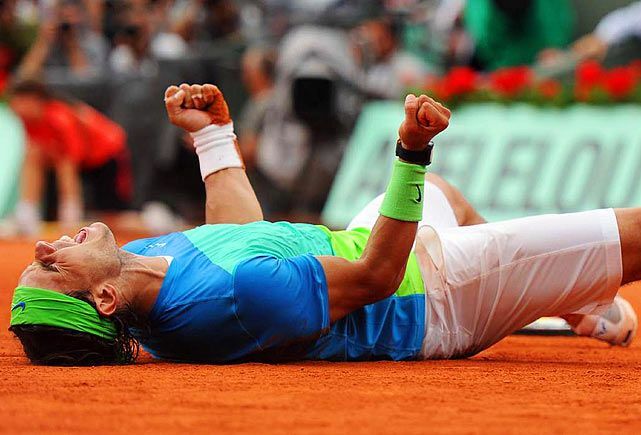 Spain's Rafael Nadal rolls around in the clay after winning the French Open at Roland Garros in Paris. Nadal defeated Robin Soderling 6-4, 6-2, 6-4 to take home his fifth French Open title.